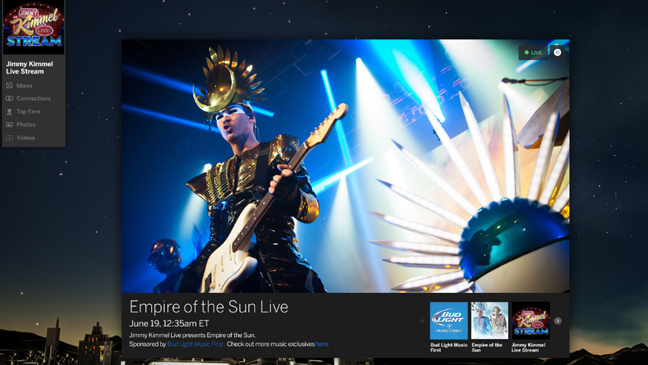 How do I know when Myspace is having a live streaming show? The first thing you want to do is check our profile on Myspace or check your Home Stream. We are pretty good about keeping everyone updated on the details surrounding the next show. How do I leave comments on the stream? Make sure you’re signed in to Myspace in order to comment on Livestreams. Then join the conversation. I closed the Livestream video but I can still hear it in the background, how do I stop it? Hover over your music player and you’ll be able to stop it from there. The video keeps stuttering during the Livestream, how can I fix that? Make sure your bandwith is sufficient and close any other apps or programs that can slow your device down.